2017: The year to buy Dubai property? With the World Expo 2020 on the horizon and the National Bank of Abu Dhabi declaring that the residential market has bottomed out, is 2017 the year to buy Dubai property? Dubai’s property market has been a roller-coaster in recent years, from the market’s collapse in 2008 to boasting the world’s fastest rate of house price growth in 2013 and 2014. Since that rebound, boosted by the news that the emirate would host the World Expo in 2020, oil prices have weighed on Dubai’s economy, contributing to a softening in house prices. Now, though, the National Bank of Abu Dhabi (NBAD) has said in its most recent yearly report that the residential real estate market in Dubai and Abu Dhabi may have bottomed out. In the fourth quarter of 2016, the rate of decline in property values stabilised, with a slight uptick recorded in the middle of the market. With new project activity also picking up, could 2017 be the year to buy Dubai property? 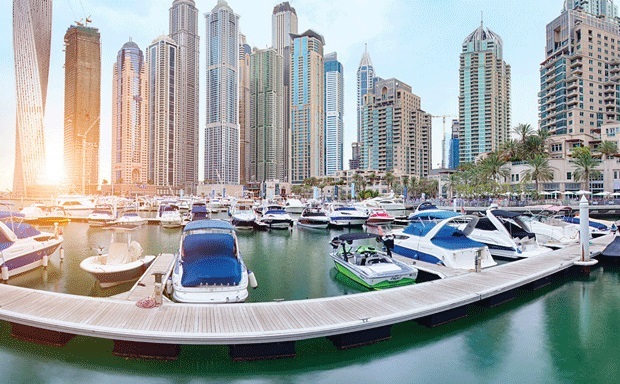 Indeed, the emirate is already gearing up for the event, with the organisations of the world exposition planning to award construction contracts this year worth a total of $3 billion (11 billion dirhams). The emirate’s economy is also set to enjoy an uptick, with growth of 3.1 per cent forecast for the year ahead, after it dipped from 4.5 per cent in 2015 to 2.3 per cent in 2016, due to lower oil prices. “While remaining far below their 2014/2015 levels, oil prices have recovered by about 46 per cent during 2016, increasing steadily from USD 30 per barrel in January to USD 45 per barrel in December 2016,” notes JLL’s latest UAE market review. “Although the short-term challenges of adjusting to the new normal of lower oil revenues are considerable, the medium-term picture for the UAE economy is more positive,” JLL concludes. The result is an increasingly appealing target for investors keen to purchase property, before the Expo 2020 effect gets stronger. In Q3 2016, enquiries for Dubai property on TheMoveChannel.com rose 14 per cent quarter-on-quarter in real terms, as investors showed growing interest in both commercial and residential opportunities. Gulf Sotheby’s says interest has “significantly risen in the last six months”, particularly in the luxury segment, as investors take advantage of discounted prices, which can translate into millions of dirhams. According to the Dubai Land Department, that momentum has spilled over into 2017, with the first 15 days of the year seeing property sales hitting a high of 12 billion dirhams, fuelled by demand from China and India, in particular. If that pace were to continue, real estate investment would total 292 billion dirhams in 2017, up 20 per cent from the 256 billion dirhams recorded in 2016. There are, of course, headwinds facing the market, both in the short-term and long-term. The Dubai Land Department highlighted Indian nationals as the number one foreign investors in 2016, followed by British buyers and Pakistani investors. After a year that has seen the UK vote to leave the European Union and India decide to demonetise all 500- and 1,000-rupee notes, the ramifications of both are both are still playing out. The positive sentiment is evident among developers as well. Nakheel today announced its highest annual net profits in the company’s history – 4.96 billion dirhams in 2016, up 13 per cent from 2015. The developer welcomed the results as an indicator of Dubai’s “stabilising, mature real estate sector”. “We are currently working towards completing our healthy pipeline of projects and making them operational in the next few years, starting with The Pointe at Palm Jumeirah, one of our key hospitality and retail destinations, which is due to open this year,” said Nakheel Chairman Ali Rashid Lootah. A total of 14,600 residential units entered the Dubai residential market in 2016, according to JLL, the highest level since 2012 (16,000 units). Contributing to the volume of completions were 1,500 villas for Emirates staff in Meydan and 690 units in Wasl Oasis II in Muhaisnah. The last quarter witnessed the completion of more than 1,000 Mira townhouses in Reem Community by Emaar and 1,200 apartment units in City Walk Phase 1 by Meraas. There are 31,000 units scheduled for completion in 2017. With a large number of properties set for delivery in the coming year, Noorul Asif, Chief Operating Officer of developer Schon Properties, argues there could not have been a better time to invest in Dubai’s real estate market”. All rights reserved to the initial publisher for lighter side of The move channel.